A’ Design Award & Competition announced that the A’ International Photography Award is still open for 2015-2016 period submissions. Photographers worldwide are called to submit their best photographs by February 28, 2016. The A’ Photography Awards are organized under two phases, participation to first phase is free and photographers are required to upload their works for preliminary evaluation. Works that pass the first stage can proceed with nomination. Entries will be accepted from both amateur and professional photographers as well as creative and advertising agencies. Moreover, photographers are permitted to digitally enhance or manipulate their photos, entry requirements are not predefined by theme or perspective. Unlike other photography contests which consider a single photograph for award consideration the A’ International Photography Award award requires photographers to submit a set of five relevant photos that share the same theme and qualities. Uploaded photos can be in color or black and white. The International Photography Award is judged by leading experts who represent various aspects of the photography and design profession. The composition of the jury is changed from year to year to ensure fair and balanced judging procedure. The jury panel is composed of academics, photographers, designers and press members who will follow strict guidelines when voting entries. Entries are peer reviewed and anonymously judged. 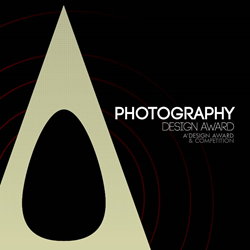 The A’ Photography Design Award winners will be announced on April 15, 2016 and given the A’ Prize which includes a series of PR and publicity services as well as the award trophy, yearbook and certificate of achievement. Moreover, annually A’ Design Award & Competition is inviting an established curator to organize a special exhibition of best works. Winners of the International Photography Award awards will have their photographs printed on posters and exhibited in the annual exhibition in Italy. In addition to exhibition, all winning works will be published in the high-quality, full-color, hardcover annual of best design s and laureates of the A’ Photography Awards will gain global media coverage and true international exposure. The A’ Photography Award is organized by A’ Design Award & Competition to highlight best photographers regardless of their status or past achievements every year internationally. Projects are accepted from professional, non-professional, and student photographers on a global scale. The A’ Photography Awards is established to support and cultivate photographic culture worldwide by highlighting the most outstanding photography achievements and recognize best photographers by spotlighting them on the global arena.